Brent Seevers was born and raised in Saint Joseph, Missouri, a historic city on the riverbanks of the Missouri River. Like many from the Midwestern United States, he is of Old German (Siebers) and Irish descent. He is an Impressionist of the Missouri River Valley and a founder of a fine art society. Seevers is primarily a self-taught artist with very little formal art training. Though, he studied art during his first two years in college, he ended up graduating with a business degree instead. Drawing has always been a niche in his life, a natural in draftsmanship. Throughout his youth he worked in graphite and charcoal, a basic drawing medium emphasized through the public schools. It wasn't until later in his life he became interested in working with color. Since 2004, Seevers has studied and taught himself, entirely on his own, how to interpret the world in pastels. Quickly mastering this method of drawing, it gave him opportunities to exhibit his work and has become his primary choice of dry medium. Seevers is one of the four founders of the Missouri Valley Impessionist Society (MVIS), a painting society that unifies representational impressionism throughout the Missouri River Valley Region. Best of Show, "37th Annual AKMA Membership Exhibition" - Albrecht-Kemper Museum of Art, 2011. Placement, in 2012 calendar by 360 Architecture, month of February. Honorable Mention in Drawing, "38th Annual AKMA Membership Exhibition" - Albrecht-Kemper Museum of Art, 2012. 2nd Place, "MVIS Inaugural Juried Art Show," 2012. Honorable Mention in Painting, "39th Annual AKMA Membership Exhibition" - Albrecht-Kemper Museum of Art, 2013. 2nd Place, "40th Annual AKMA Membership Exhibition" - Albrecht-Kemper Museum of Art, 2014. Artist of the Year, 2014, 23rd annual Mayor's Awards for the Arts by the St. Joseph Allied Arts Council. 3rd Place in Pastels, "Parkville in Art" annual plein air painting competition, Parkville, MO, 2014. 4th Place in Oils, "Stems Plein Air Paint" - category 2, 2015. 4th Place in Oils, "Stems Plein Air Paint" - category 3, 2015. 1st Place in Painting, "42nd AKMA Annual Membership Exhibition" - Albrecht-Kemper Museum of Art, 2016. 1st Place in Pastels, "Stems Plein Air Paint" 2016. 2nd Place in Pastels, "Stems Plein Air Paint" 2016. Honorable Mention, "Paint Parkville Invitational" 2016. Purchase Award Winner, "Paint Marceline" 2016. 1st Place, "Paint Marceline" 2016. Purchase Award Winner, "Brush Creek Art Walk" 2016. 1st Place in Drawing, "43rd AKMA Annual Membership Exhibition" - Albrecht-Kemper Museum of Art, 2017. Honorable Mention in Drawing, "43rd AKMA Annual Membership Exhibition" - Albrecht-Kemper Museum of Art, 2017. 1st Place, "Brush Creek Art Walk" - Zone 2, 2017. Honorable Mention, "Brush Creek Art Walk" 2017. Best Pastel Painting Award, "Brush Creek Art Walk" sponsored by the MidAmerica Pastel Society, 2017. 3rd Place in Drawing, "44th AKMA Annual Membership Exhibition" - Albrecht-Kemper Museum of Art, 2018. Honorable Mention, "Brush Creek Art Walk" - Zone 2, 2018. 3rd Place in Painting, "45th AKMA Annual Membership Exhibition" - Albrecht-Kemper Museum of Art, 2019. 2006 Spring Art Walk Show, North Missouri Arts Council, Marceline, MO. 2008 34th Annual Membership Exhibition, Albrecht-Kemper Museum of Art, St. Joseph, MO. 2008 Landscapes by Brent Seevers, NOMO Arts Center, Marceline, MO. 2009 35th Annual Membership Exhibition, Albrecht-Kemper Museum of Art, St. Joseph, MO. 2009 The American Landscape, Hilliard Gallery, Kansas City, MO. 2010 36th Annual Membership Exhibition, Albrecht-Kemper Museum of Art, St. Joseph, MO. 2010 Outdoor Impressions, KCK Public Library-Main Branch, Kansas City, KS. 2010 An Evening with the Arts, invited artist, Mission Arts Council, Sylvester Powell, Jr., Community Center, Mission, KS. 2011 37th Annual Membership Exhibition, Albrecht-Kemper Museum of Art, St. Joseph, MO. 2011 Spring Fling & Floral, Got Art Gallery on Third, Lee's Summit, MO. 2011 The American Landscape, Hilliard Gallery, Kansas City, MO. 2011 No Place Like Home, Got Art Gallery on Third, Lee's Summit, MO. 2012 38th Annual Membership Exhibition, Albrecht-Kemper Museum of Art, St. Joseph, MO. 2012 Impressions, Missouri Valley Impressionist Society, Got Art Gallery on Third, Lee's Summit, MO. 2012 MVIS Inaugural Juried Art Show, Kansas City Club, Kansas City, MO. 2013 39th Annual Membership Exhibition, Albrecht-Kemper Museum of Art, St. Joseph, MO. 2013 MVIS 2nd Annual Juried Art Show, SouthWind Art Gallery, Topeka, KS. 2013 MVIS 'American Vistas' Show, Buttonwood Art Space, Kansas City, MO. 2013 Brush Creek Art Walk, plein air event, Bruce R. Watkins Cultural Center, Kansas City, MO. 2014 40th Annual Membership Exhibition, Albrecht-Kemper Museum of Art, St. Joseph, MO. 2014 MVIS 3rd Annual Juried Art Show, Albrecht-Kemper Museum of Art, St. Joseph, MO. 2014 Paradox Theatre Grand Opening, Paradox Theatre, St. Joseph, MO. 2014 A Fine Art Quartet - four man show, International Trucking Service Gallery, St. Joseph, MO. 2014 Pastel Only Regional Juried Art Exhibition - MidAmerica Pastel Society, Tim Murphy Art Gallery, Merriam, KS. 2014 Brush Creek Art Walk, plein air event, Bruce R. Watkins Cultural Center, Kansas City, MO. 2014 Parkville in Art, plein air event, Cathy Kline Art Gallery, Parkville, MO. 2015 41st Annual Membership Exhibition, Albrecht-Kemper Museum of Art, St. Joseph, MO. 2015 MVIS 4th Annual Juried Art Show, Portfolio Gallery & Education Center, St. Louis, MO. 2015 Intersections: Of Time and Buildings, St. Joseph Museums, Inc. 2015 Preservation Expo, Wyeth-Tootle Mansion, St. Joseph, MO. 2015 OPA Spring 2015 Online Showcase, Oil Painter's of America. 2015 Art at the Center Feature Show, Stems Plein Air Paint 2015, Tomahawk Ridge Community Center, Overland Park, KS. 2015 Legacies on the Rails Railroad Art Show, Cathy Kline Art Gallery, Parkville, MO. 2015 Brush Creek Art Walk, plein air event, Anita B. Gorman Discovery Center, Kansas City, MO. 2015 Paint Parkville, plein air event, Cathy Kline Art Gallery, Parkville, MO. 2016 42nd Annual Membership Exhibition, Albrecht-Kemper Museum of Art, St. Joseph, MO. 2016 MVIS 5th Annual Juried Art Show, Albrecht-Kemper Museum of Art, St. Joseph, MO. 2016 April Abundance, invited artist, Cathy Kline Art Gallery, Parkville, MO. 2016 Stems Plein Air, VIP event, Rice Gallery of Fine Art - Art at the Center Feature Show, Tomahawk Ridge Community Center, Overland Park, KS. 2016 Paint Parkville Invitational, invited artist, Cathy Kline Art Gallery, Parkville, MO. 2016 Paint Marceline, NOMO Arts Center, Marceline, MO. 2016 Embracing the Figure: An MVIS Exhibition, Cathy Kline Art Gallery, Parkville, MO. 2016 Brush Creek Art Walk, plein air event, Anita B. Gorman Discovery Center, Kansas City, MO. 2017 43rd Annual Membership Exhibition, Albrecht-Kemper Museum of Art, St. Joseph, MO. 2017 Vernon Filley Invitational Art Show & Sale, invited artist, Vernon Filley Art Museum, Pratt, KS. 2017 Penn Valley Plein Air, Buttonwood Art Space, Kansas City, MO. 2017 MVIS 6th Annual Juried Art Show, The Rice Gallery of Fine Art, Overland Park, KS. 2017 Brush Creek Art Walk, plein air event, Anita B. Gorman Discovery Center, Kansas City, MO. 2018 44th Annual Membership Exhibition, Albrecht-Kemper Museum of Art, St. Joseph, MO. 2018 3rd Annual National Juried Plein Air Show, The Rice Gallery of Fine Art, Overland Park, KS. 2018 MVIS 7th Annual Juried Art Show, Gallery 1516, Omaha, NE. 2018 For Pastels Only on Cape Cod, national exhibition, Cultural Center of Cape Cod, South Yarmouth, MA. 2018 Stems Plein Air, Tomahawk Ridge Community Center, Overland Park, KS. 2018 12th Biannual PASTELS ON HIGH Open International Exhibit, Sierra Pastel Society, Sacremento Fine Arts Center, Carmichael, CA. 2018 DPS 17th National Biennial Exhibition, Degas Pastel Society, Hammond Regional Art Center, Hammond, LA. 2018 Brush Creek Art Walk, plein air event, Anita B. Gorman Discovery Center, Kansas City, MO. 2019 45th Annual Membership Exhibition, Albrecht-Kemper Museum of Art, St. Joseph, MO. 2019 2019 National Invitational Biennale Art Show & Sale, Vernon Filley Art Museum, Pratt, KS. Linn County Leader, October 10, 2008. Front page story on featured art show at the NOMO Arts Center. PresentMagazine.com, April 27, 2009. Gallery Feature article. Review Magazine, June 23, 2010. "Loose Interpretations: Brent Seevers," a review of exhibit "Outdoor Impressions." St. Joseph News-Press, July 8, 2010. "This is: 'Inviting Light' by Brent Seevers." St. Joseph News-Press, April 6, 2012. 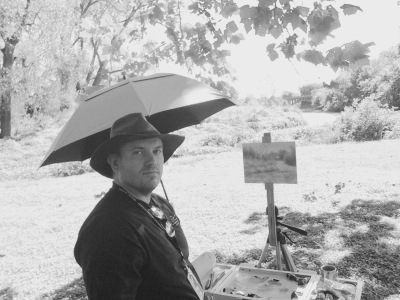 "Paint Out," article on an upcoming MVIS plein air event at Krug Park.